Who are the greatest players in NBA history? Where does Steph Curry rank? 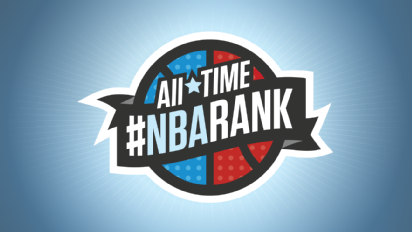 Our ESPN panel has created the All-Time #NBArank Top 100. (The Top 10 will be revealed on Tuesday and Wednesday.) Now it's time for a few NBA players and coaches to share their thoughts in this special edition of 5-on-5. 1. Who's your top 5 of all time? Doc Rivers (former All-Star guard and current Clippers GM/coach): I always start with Magic [Johnson] and Michael [Jordan], and then it gets murky from there. For me, I go next to Bill Russell. I don't think a player can win that many titles and not be in there. I'm going to put Oscar Robertson fourth. The guy averaged triple-doubles, and also because people have no idea about the social s--- that he had to go through to be a basketball player. And he was still a great. My fifth -- and I go back and forth on this from Larry Bird to LeBron [James] to Tim Duncan -- but I'm going with Kareem Abdul-Jabbar. Jason Kidd (former All-Star guard and current Bucks coach): Magic, Michael, Oscar, LeBron, and I would have to put in Shaq. They had on the Lakers TV the other night, the Lakers playing New Jersey (in the 2002 NBA Finals) and we are playing f---ing really good in Game 4 and there was nothing we could do with Shaq. Nothing. Walt Frazier (Hall of Fame guard and current Knicks commentator): [Wilt] Chamberlain, Russell, Robertson, put Jordan in there, Kareem. If they played today, they would be greater than they were when we played. Chamberlain would average 60-70 points today. He averaged 50 back then, when you could maul people and beat them up. What would he do today? Brett Brown (current coach of the 76ers): It ends up like, "Do you really love steak or do you really love lobster?" There's a lot of good food out there. You'd have to go with Michael Jordan, Magic Johnson, Tim Duncan, Larry Bird and, I'll go with one of our own, Julius Erving. Chris Bosh (current Heat power forward): No. 1? I have to say Jordan. No. 2 is Kareem. No. 3 is Magic. Uh, shoot, man. I'd probably go Bill Russell No. 4. Man, this is so hard. LeBron's close but he's still got some work to do. I mean, we're talking about guys who played 20 years in the league and their work is done. LeBron's still writing it, which is scary. I probably have to say Timmy [Duncan], because he redefined his game so many times. He's done everything. He's won the championship as the young guy and the old guy. That really counts. That's my list. But I'm partial to big men. 2. Which all-time great is the most underrated? Frazier: Kareem. I would put Kareem, man. He dominated at every level. The sky hook is the most potent shot the game has ever known. When they talk of the greatest players, no one ever brings his name up. It's just they never give the guy the credit that he deserved. If he had Chamberlain's mentality, then he would have all the records. But he was a team player, he wasn't concerned with records. Kidd: I think LeBron is. OK, I think people don't really appreciate what he does. He goes from '04 all the way up to '16, he can participate in every Olympics and be involved in every Finals in the past five years. Is this the sixth year he could be in the Finals [in a row]? Just think about that. Six years in the Finals straight [potentially] and participate in four Olympics ... is that right? That's unheard of! Who else could do that? Bosh: Scottie Pippen. Yeah, Scottie. Because they always say he was Robin to Batman, and I think that's so disrespectful. It's a little personal for me, because I understand filling a role and doing your job and it's very difficult to do that. You have to be really, really good to win a championship. As good as Michael was, you can't win a championship by yourself. You need someone who's your equal or pretty close. It hits close to home but I don't know what it's like to win three in a row. He's pretty, pretty, pretty good [Larry David voice]. Rivers: Isiah Thomas. When you talk about best point guards, he rarely gets mentioned. I think because some people don't like him, they underrate him. Brown: I get such a soft spot for Manu Ginobili. Ginobili is amazing to me with his competitive spirit. Manu is, to me, one of my all-time favorites. Gold medalist, NBA champion, NBA All-Star. I think if people knew what I know in regards to how he's wired and the person behind the competitiveness and the skill package, it would make a little more sense. I'll go with Manu. 3. Which all-time great would you pay the most to watch? Kidd: Michael for sure. Oh for sure. We lose sight that if you buy a ticket, you knew that, 'Hey, I am buying this ticket because he is going to score 50.' He never disappointed. Right? Like, you buy a ticket between the Bulls and back then it was the Bullets, LaBradford Smith said something (to Jordan), Michael came back the next game and gave him (47). Whatever stage it was, whatever level, last-second shot, he always delivered. Bosh: Oh, easy, Michael Jordan. I only got to watch him once in person. It was the All-Star Game in Atlanta. I did get to see him. But he was 40 and that was his last All-Star Game and everyone knew it was it. I think he made the game-winning shot until somebody made a bad foul. I can say that I did get to see him play in some capacity. Magic, too, in the fast break. To see what all the fuss was about. Brown: I thought Magic just sort of did it all. Just as far as impacting a game with his size and his passing and his charisma. Magic would be my vote. Rivers: Magic because of the way he played and the flavor that he played with. Frazier: I would say Chamberlain. The way he dominated. Big guy, could run the floor. 4. What's the best individual performance you've seen? Bosh: Super easy: Kobe's 81 points. I was there. I had a good first half. I remember looking at him like, man, this is crazy. He just kept going and kept going. I thought he would drop off, but he did not. He had himself a game. It was just so embarrassing. We already weren't that good and then, damn, we're the Raptors and everyone overlooks us because we play in Canada. And now all anybody cares about us is because of Kobe's 81. Rivers: Larry Bird, Game 7 (in the 1988 Eastern Conference semifinals vs. Atlanta; Bird's famous duel with Dominique Wilkins in which Bird led the Celtics to the win by scoring 20 points in the fourth quarter). Frazier: The Willis Reed game. It was Game 7 (of the 1970 Finals), everything on the line. Win or go home. This is it. A lot of guys have had a Game 6 like that, a Game 5 but not a Game 7 where it was all there. That's why. The odds were against us. We were playing three of the greatest players to ever play the game in Chamberlain, Baylor and West. Without your best player. Kidd: Probably when Michael was (almost) 40 and gave us 45 (in a Wizards' 98-76 New Year's Eve win over the New Jersey Nets in 2001). How old was he, 38? That was like the craziest performance I've seen. The one that he just went ballistic on us (and scored 22 points in a row at one point). He couldn't jump no higher than me! And he was giving it all to us! He was cooking. He was making everything. And-ones ... it was like he had a flashback. It wasn't like where he was jumping over everybody. He just out-thought everybody that night. Brown: I mean, I saw Jimmy Butler a few weeks ago have 53 on us. That one stung the most. I remember, without being date-specific, Ginobili breaking out for 40-something, Timmy Duncan hitting buzzer-beaters, Tony Parker just grabbing a game. Those big games, those Game 7s that you have to play well. There are some games like that that stand out, but the Jimmy Butler performance, since it was in our own backyard and most recent, that's a big number. 5. Where would you rank Steph Curry right now? Brown: If you asked me about him say seven years ago, six years ago, maybe five, you'd say what a beautiful shot. His fundamentals are perfect, the rotation and arc on his ball are special. It's beautiful. Then you started looking at his handle. Because of his handle, he can get to his shot. And his handle is ridiculous. His left hand is just crazy to me, how skilled he is with both hands. And now I look at his balance. I can't believe how balanced he is and the speed of which he plays. And you package it all up and you're like, that really is a hard person to guard. I think that history's gonna end up judging him as one of the great scorers, one of the great backcourt guards of all time. I can't see why they wouldn't. The defense has never been better. The scouting has never been better. The athletes have never been better. And the attention he receives has never been higher. Yet you can't do much about it. I can't see why that might not continue for a while. He's not old. I think we're all going to look back and say, "Wow, he's really quite special." Rivers: It's tough for me to rank guys now because I always say, 'Let them finish their careers.' But if you go with where he is right now and the way he's playing, he's going to be in the top 5 or so. What he's doing has never been done before. The shots he's taking and making, the way he's passing -- and for me, it's prettier to watch than Michael. If I have to watch a style of play, I want shooting. Curry does everything, and it's flashy and cool to watch. If he continues on this pace for five or six more years, I think he could be top 5. What he's doing right now has never been done. No one shoots the ball off the dribble. Frazier: When I look at him, the guy has been an All-Star twice. Come on man, the guy doesn't even have a track record. This is what I'm saying that they do today. They just catapult you. What if I had a Game 7 like that today? If I had a Game 7 like that? Come on. I'd be a household name forever. It took me three more years (of averaging) 20 points before they mentioned me in the same breathe as Robertson. He's going to be a bona fide player but when you look at him on defense -- come on, man. Everything is offense. When I total greatness, I total everything. That's why I'm with Robertson, I'm with Chamberlain, I'm with Jordan. They could do it all. Bosh: I don't know. That's really hard. He's won an MVP, but I think he's just starting. I don't think people expected him to do much. But man, it's just so new. He just comes from a different planet. There's no way to relate. He's just a physical specimen. You think about LeBron -- 6-8 point guard. Shaq -- 300 pounds, 7-1. Steph's just this sniper dude who has unbelievable range and he's quick as a cat. I'm sure he'll be MVP again -- that's pretty much a no-brainer right now. I don't know what clicked in his brain. I was telling my friends, remember, he's been shooting on NBA rims all his life. Top 50 for sure, especially if he wins MVP. I'd say 30. His number. Kidd: He's about to crack that. Because he is going to do it hopefully for more than just one year. That's how you become a great. Not just one season but when you can put three to five seasons together like he has been doing. That is when you become a great. He will be top 30 when it is all said and done.